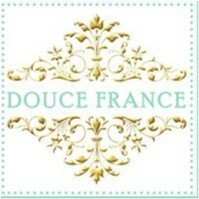 Douce France joined our Mission to help provide access to “Clean Water for All by 2030”. This Mission was initiated by the United Nations. A big thank you to Douce France’s team and customers for joining this extremely important mission on 21 March 2018. "Amazing bagutte and the coffee was incredible. They were able to make the vegetarian baguette vegan for us by substituting, and it was honestly one of the best I have ever had. We are visiting from Brisbane but we will definitely be back!"